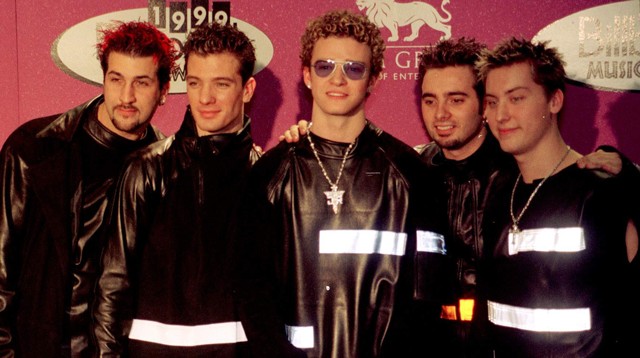 Bye, bye, bye NSYNC! Hello Adele! Adele passed the boyband's 2.4 million sales mark with her new album 25 on November 24 and among the first celebrities to congratulate her were NSYNC’s Lance Bass, Joey Fatone and JC Chasez. "Records were made to be broken," JC says. "It was a flattering luxury knowing we sold more records than anyone in a week but it's also nice seeing people continue to be passionate about music in the next generations. Adele proves that emotion and art are alive and well in music today." His bandmate Lance took to social media to offer his thoughts, adding, "We officially say Bye Bye Bye as @Adele says Hello to the World Record of Most Albums Sold In a Single Week. Congratulations!!" And Joey revealed he was among the 2.4 million fans in America who bought 25 upon its release on November 20. "Records are always meant to be broken, but with technology and current music business model, I thought this one would be tough to beat," Joey told Billboard. "In all honesty, Adele is the truth—kinda excited a rare talent like hers is in the same breath as our group. I'm a huge fan... I even bought the damn album!" Adele's 25 is projected to sell 2.9 million units in its debut week, with experts suggesting that 42 percent of all U.S. record buyers have picked up a copy. NSYNC's second studio album, No Strings Attached, debuted in 2000, selling 2,416,000 units for the week ending March 26. Adele's new release matched that amount in a little over three days.